716-206-5251 No appointment for oil changes! At Basil Kwik Oil Change, we know how busy Buffalo drivers can get and that’s why our quick oil change center is designed to get you in and out as fast as possible. We are set up for fast oil changes and fast tire rotations. We also top off fluids and give you a FREE car wash with every service visit! The next time you’re in need of a quick oil change near Cheektowaga, stop in and give Basil Kiwk lube a try! Also, be sure to check out our rotating service specials for oil change coupons and more. Our specials are ever-changing so check back often. Our newly expanded facility is has been specifically designed to accommodate your Fleet and Commercial Service vehicles. Call 716-206-5200 or stop in today! No Appointment Necessary for Oil Changes. May not be combined with any other offers. Prior purchases do not apply. Valid at Basil Kwik Oil Change Only. 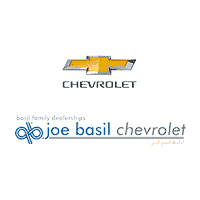 Joe Basil Chevrolet	42.8909581, -78.695977.